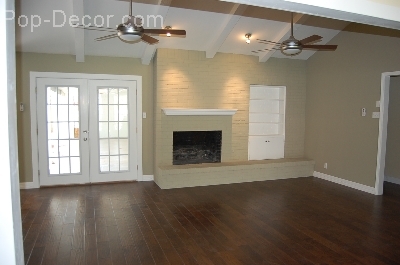 Should I pull the vacant home staging during the holidays and re-stage after the New Year? It is to your benefit to leave the staging in the home during the holidays for several reasons. Your buyer might be the one that is looking during the holidays and if the home isn’t showing at its best with the staging you might miss out on giving the buyer the best first impression you possibly can and potentially loose the buyer’s interest. Secondly a vacant home is cold anyway and during the winter months when it is cold outside it feels even colder in the home. When it is vacant there isn’t anything in the home to interest the buyers into staying in the home longer while looking. 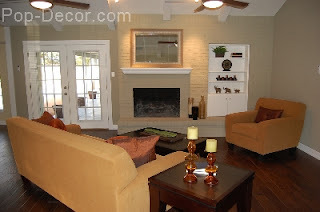 Staging adds interest to the home and helps buyers visualize their belongings in the home. Thirdly, to pull staging during the holidays and then set up staging again after the New Year is more costly. The initial staging has set up costs, delivery costs plus the rental cost. If you continue with the staging that was set up prior to the holidays on a month to month basis you will have the home showing beautifully and giving the best first impression for those buyers that do look during that time and you will save by only paying the month to month rental cost . You might think you can save by pulling the staging and setting up the staging later but in actuality it will cost you more because of paying the set up and delivery costs twice. Another reason to keep the home staged during the holidays even if it has passed 60 days on the market is you don’t want to lose any positive momentum you have with showing the home at its best. With the home not being staged the more time that passes the more likely you will have to resort to price reductions. Staged homes show better, have fewer days on the market and have fewer price reductions. Which room looks more inviting and shows better to you? Vacant Staged Home before. COLD! Vacant Staged Home after. WARM! Learn more about Austin Texas Home Staging.